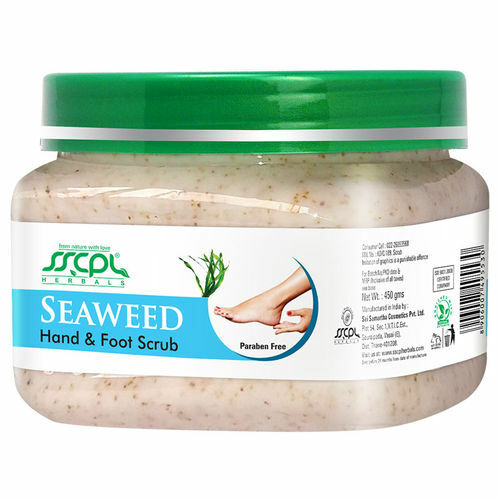 This herbal seaweed hand & foot scrub has micro exfoliating particles and seaweed extracts. They effectively remove dead skin cells and promote deep pore cleansing. This scrub also acts as a nourishing and hydrating agent. This hand and foot scrub with the botanical extract of seaweed is a high source of vitamins, minerals and antioxidants. Seaweed also cleanses pores, revitalises skin health and is also beneficial for rosacea skin conditions.